The coats light weight means it’s well aerated, making it excellent for out of doors use all year round. The exquisitely engineered nylon exterior wicks the moisture away from the soft interior extremely effectively. 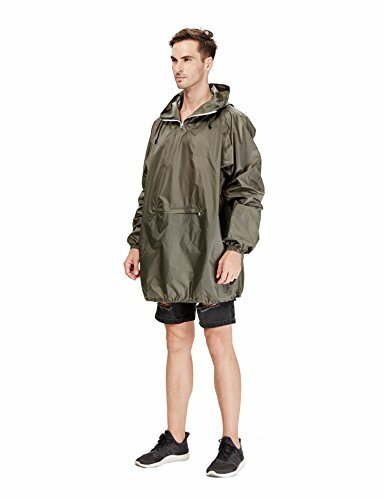 This makes it perfect for cycling or any form of out of doors exercise throughout the rainy season and winter months. 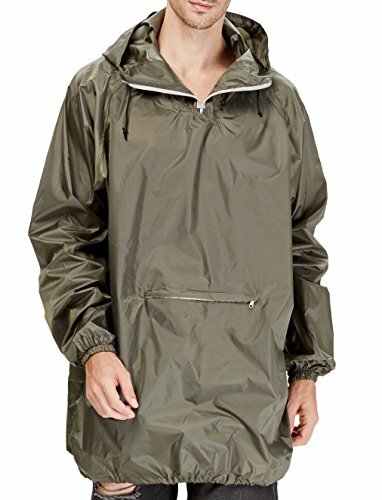 It’s nylon material assists in keeping you dry without overheating, which makes it perfect for exercising outdoors or riding your bike. It is usually intelligently designed to allow minimal space occupation by folding and fitting neatly into its front pocket, which makes it great for travelling. On the other hand, you’ll fold it into a neat square without it taking up too much space. Whats even more pleasing, is that after unpacking and unrolling the jacket, it does not assume a disheveled or wrinkled shape. 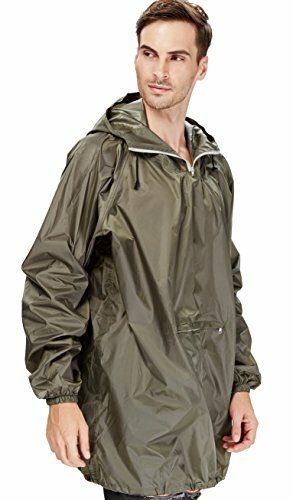 In addition, the rain coat is very durable, with expert stitching that allows heavy duty use. 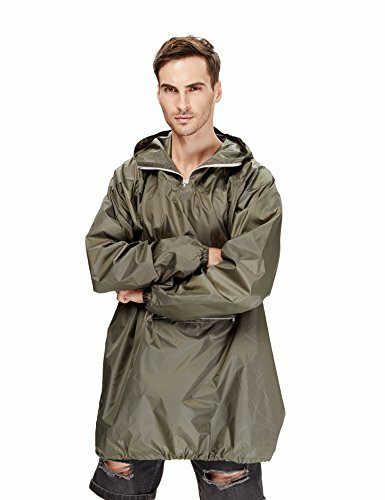 If you’re searching for a premium manufactured hooded rain coat at an affordable price with perfect waterproofing, then this nylon backed rain jacket is your best bet.